App Builder Appy Pie: No matter what your business may be, it is important that you pay attention to market it to the relevant audience. The marketing efforts and strategies take a long time to plan out, and have evolved quite rapidly, especially since the big technological revolution that just seems to go on forever! The digital world, the social media channels, and the ease of access and engagement of practically every user group with all things related to social media has managed to change the face of marketing in a huge way! Though your business might still require you to devise the traditional methods of marketing like putting up billboards by the side of the road, sending flyers in the newspaper, putting up bills on trees and even handing printed flyers to the passersby, but a good marketing plan can simply not ignore the scope and efficiency of leveraging social media channels for marketing. The market is getting tougher for the players in any field or industry and when you want people to get to know about you, or take notice of you, it is important that you leverage every possible avenue that is frequented by your target user group. As of the first quarter of the year 2018, there were more than 336 Million monthly active users in the world over of which 68 million are from U.S. The sheer numbers indicate that Twitter, in fact has the potential to become a powerful marketing tool, if you chose to use it in the right way. The microblogging website Twitter puts the limit of 280 characters for you to say your thing and try and grab the attention of the target users. 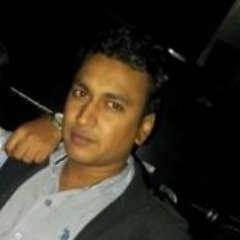 It has been a while since people realized the potential of Twitter as a medium of marketing and since then have been trying out different strategies and techniques to drive in more traffic to their online portals, sites or even apps. I have brought together some tips that can help you in a big way, when it comes to using Twitter to bring in some serious traffic on to your website and use it as a legit marketing channel and strategy! Now, we know that you are using Twitter as a marketing or maybe even a sales channel, but people or the targeted users are not really going on Twitter to make a purchase or to buy from you. Now when you have a limited number of characters at your disposal, you might get carried away and use the entirety of it in crafting out a killer sales pitch for your customers and promote all the amazing things that you have to offer to your customers. Now, once in a while when the targeted users see an all-out sales pitch, they would be OK with it, after all you are a business who is on Twitter to promote their business. However, it is important to understand that if your sales pitches are crowding up their feed, they are only going to get annoyed with you and start ignoring you or worse “Unfollow” you! You can develop some content that may give them a peek into the origin of your business, the people who are working in your organizations, or even some happy customers who have been using your product and are happy to let you know. When you do all this, you are basically telling them a story and the customers can see a brand that is humanized and connect better and when they connect better the chances of conversion or them even going to your online portals is a lot higher. Human beings are visual by nature, and when you make use of visual content, you stand to get a whole lot more clicks than the tweets that only have text! It has been proven through research that when a tweet contains images, videos, and other rich media it is bound to get more views, clicks, and retweets than tweets that only have textual content in them. You might not immediately think of video marketing in context of marketing techniques on Twitter, but it is something that you can really benefit from. There is more than one way to leverage videos on Twitter. One of the ways is to use the native video feature on Twitter which lets you record videos that can be up to 140 seconds long and upload them directly to your Twitter stream. The second option is to use Periscope – the live streaming app that is owned by Twitter. It integrates into the Twitter so that your live streams are visible to your followers on their Twitter feeds. Even after your stream is over, the recording is available for people to watch. Have you ever wondered why even the most loyal of your customers follow you on Twitter? Now, if your brand were offering them an exclusive discount or a special offer that was only exclusive to Twitter followers, that would be an entirely different story altogether, right? Run contest and campaigns revolving around tweeting something they like about your store, or product, or even one of your brand philosophies and offer them a chance to win a prize or a discount! You can even have campaigns where you offer special offers to the first 10 people who retweet a certain tweet. Essentially you should have an offer for your followers on Twitter that they cannot get anywhere else! This means there is a high possibility of you getting more followers, more sales, and more retweets. It is important that you retweet, especially if you are looking to establish links with thought leaders in the industry and even in establishing yourself as a thought leader within your industry. When you retweet someone else’s tweet and you make it available for your followers to read, you are taking a step towards enriching your social capital and towards cultivating certain credibility. This can further result in other people retweeting your tweets as a measure to return the deed. Apart from retweeting other people’s content, it is a good practice to mention other people in your tweets and including their @usernames in your tweet content. Tweets that are positive in their intent and contain content that is not only relevant but also personalized, go a long way in establishing a certain goodwill for you. 5. Encourage Users to Comment! Twitter is one of those platforms that afford you access to a huge audience all in one go! This is why, if you were to simply ask for an opinion or commentary on any conceivable topic or issue, you would begin getting answers or responses quite easily. You might go ahead and ask the followers for their opinion on a new product that you have recently launched, a change in the theme or colors for your product or your site & app, on the price range of your product, or even ask them for any suggestions that they might have for you! Think of things that your customers or your followers would be interested in, and may be knowledgeable about, pose a query, and see the comments roll in! Let me give you a heads-up though! You might not like everything that you see on your screen and in the tweets that mention you! It is important that you brace yourself for it. You have opened yourself up to a social media channel which is known for its high responsiveness, you would have to take everything that comes your way, on-board and isolate the comments that you can make use of in any manner! This way you can even make the changes that you agree with, so that any problem that might be there does not snowball into something huge. The insights that you get from your followers may even help you take care of issues regarding the training of your employees, or anything else that might have been brought to your attention by your followers on the platform. When you have a twitter profile and do not post frequently, you are giving off the vibe of someone who is not invested in their business. On the other hand, an account that sends out tweets regularly indicates a healthy social profile and incites a sort of trust among the prospective customers. If you are choosing to tweet as rarely as once a week or once a month, you are effectively wiping yourself out of the memories and minds of your followers, who are going to move on to your competitor who is a little more active than you are. You must post daily, multiple times, but make sure that what you are posting has some value and not just some spam or random, uninteresting stuff. It should be something that your followers on Twitter would like to read, click on, retweet and/or favorite. Tweets by nature are ephemeral, and any tweet that you post right now, is soon going to be forgotten, which means that the number of tweets you send out must be higher than the posts that you are putting up on any other social media. There is really no magic number that you must follow in order to ‘make it with Twitter’ but tweeting once a day is a good place to begin. Later on, you can test different posting frequencies in order to figure out what is it that works the best! You can take help from the internal analytics platform and third-party tools to get help in that regard. 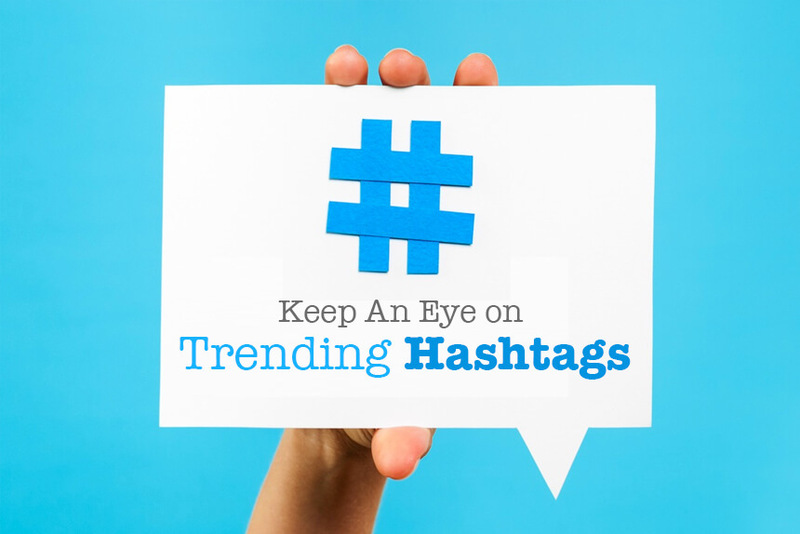 It is important that you keep an eye on all the trending topics and hashtags. While going through these trending hashtags you can look for a way to make a relevant connection to your brand. When you do this, you find a way to put your business among the trending topics your Twitter handle would be visible to the people who are searching for tweets related to the particular topic or hashtag. Twitter is where the game of hashtags began! This is why you have to make good use of hashtags in every tweet that you send out. When you make use of one or two hashtags that are relevant to the post and to your brand, you get an instant boost in the engagement and your tweet stands to reach a wider audience than the one without a hashtag! A hashtag can also prove to be a great way to make sure that you organize your tweets around a certain keyword or topic. However, don’t use more than two or three hashtags per tweet. When you use hashtags, twitter automatically hyperlinks them to take you to all the related tweets. When you click on one of these hashtags you can easily discover relevant content and you may even want to share some of it! This can actually prove to be a great way to find prospective clients or customers who might be interested in your business, products you offer, or in booking your services. The company bio that you put up on Twitter must be optimized suitably. When you sit down to craft out this bio, you must make sure that the bio reflects your company identity and your voice through appropriate branding. It is important that you create a bio that tells people who you are and includes a link to your company website or a corresponding landing page. The bio should also have a consistent tone of voice so that there is no confusion among the audience about what you do. Influencers are the celebrities of the digital world and it is important that you take a deep dive and find the right kind of experts who have attained the status of influencers in the particular field that you covet to make your mark in. once you have found the right kind of influencers you can then follow them on Twitter and interact with them regularly. Begin by making a list of the 100 most influential people in your space including the journalists, thought leaders, prospective clients, popular bloggers or writers, prospective partners and more! While you are finding people, you are going to follow, make sure that you do not follow everyone who follows you. It is important that you focus only on those who are relevant. This includes following your customers who are on Twitter, your competition or related people on the industry, influencers, people who retweet or share your content etc. The efforts of getting you a higher followership on Twitter must begin from home, well office in fact. The people in your office, your colleagues, your employees, or the people who are on the ‘inside’ should be involved beforehand. The people within your organization are the perfect candidates for helping you build your brand and its presence. Get the people in your organization to follow you Twitter, and tweet about you, and retweet what you post, and engage with you. You should keep an eye on the brand mentions and keywords to make sure that you are aware of all that is being said about you on the platform. If you think it is appropriate, you should try and respond to them in a polite, professional manner. You can even set up Twitter searches for particular terms that are relevant to your brand. Now you can easily monitor the conversations in that search and jump in to the conversations when you think it is appropriate. Let’s say you are a plumber in Omaha, you can then set up a search for the term ‘plumber Omaha’. So now when you see someone in Omaha tweet let’s say that they ‘are having trouble with plumbing in the house and how it is tough to get a good one!’ you could simply jump in and tweet about how you would be happy to look into the problem and make it all go away! Anytime you or your business gets mentioned in the media make sure that you share the link through your Twitter profile. Once you develop this habit, you would definitely get more attention from other journalists and reporters. It is true that Twitter has a huge audience and the number of people who might start following you may be huge, but simply because there are so many people and businesses on the platform the visibility of the brand might suffer as well. Since this platform is overcrowded the chances of getting visibility for your brand are slim and getting people to follow you on Twitter can be quite a task. Hence, you must take every possible opportunity to promote the fact that you are on Twitter. If you already have a website, you can incorporate a widget on it which can link through to the profile you created for your brand. This would enable the visitors in order to easily begin following you on Twitter. In addition to this, any other marketing material like the billboard, flyers you are handing out, inserts in the local newspapers, emails or newsletters that you are sending out, the packaging of your products, and in any other print ads you release. Twitter is one of those platforms that are particularly high on engagement. The companies that make use of Twitter, know that they need to be highly responsive to the followers. Your followers are highly likely to be put off if people are trying to engage with you on Twitter and you are not responding. It would do you well to carve out a time in your schedule to take care of this or one of your staffs could do it for you as well! There would always be negative feedback as well. Do not ignore them, apologize, address the issue and try and take the conversation private. It might help if you were to appease them with a little something for free or offer a generous discount. When you want your followers to do something like ‘favorite’ your tweet or ‘retweet’, don’t shy away from asking them for it! For example, if you post a tweet that you want to use in order to spread awareness about a product, or a special offer that you are running for a limited amount of time, you can simply ask the followers to retweet it. What happens next, might give you a bit of a surprise, because the number of retweets that you receive for a tweet that asks for it would be a lot higher than the ones that do not mention anything about retweeting. So, when you think it appropriate make sure that you ask the followers to take different actions like ‘favorite’ the tweet, ‘retweet’ it, ‘retweet’ with a hashtag, or mention your twitter profile in something you would like more people to know about. Promoting your tweets is one of the greatest ways to make use of Twitter for marketing. However, when you are promoting your tweet, it is of paramount importance to directly target the promoted tweet to your audience. If you do not define the right kind of audience that you are trying to reach you might end up wasting a lot of time and money for nothing! One more thing to remember while drafting a promoted tweet that you must make sure that the tweets do not look spammy. The idea behind drafting a tweet is to offer value which would establish trust and credibility and not click-baiting them in any manner. The tweet promotions that you run should remain fresh, which means that it should not run for too long and appear stale, killing their interest. Any social media marketing effort becomes a whole lot more effective when it is integrated in the larger marketing activities in a balanced and cohesive manner. Twitter is no exception to this rule! Let’s say that you are running a contest or any promotion on Twitter, you can announce this contest to your email or newsletter subscribers as well. Since these people have already accepted one medium to stay in touch with you, chances are that they would be interested in your twitter contest as well. You can even turn the tables here and tweet out the mailing list link, thus tapping into your twitter following and strengthen the mailing list! Analytics, when used well can form the foundation of your success chart on any front. Twitter has a great native analytics feature built into it which you must consult on a daily basis! Doing this and keeping an eye on the performance of your tweets would give you a clear idea about what kind of tweets are doing well with the audience and which ones are not so relatable for them. The analytics dashboard on twitter is great and easy to use for everyone so you would be sure to know which days are the best to tweet, what kind of content is preferred by your audience, and the demographical construct of the followers that you have on Twitter. This affords you the opportunity to recreate success and rework on the content that may not be working so well! Your answer lies in – Twitter Chats! Though it was a little slow to pick up, but a great number of marketers have understood the potential of Twitter Chats when it comes to acquiring active followers on Twitter! The reason is simple – the people who are taking part in Twitter Chats actively are really the ones who enjoy engaging actively on it. They are not here to simply distribute and consume content, but actually interact with the forum, which is what it was actually meant for! These are actually the people who would write comments, retweet your tweets, and increase the exposure of your tweet. You can look for Twitter chats related to your industry and study them and try and understand how it works. If you can’t find a Twitter Chat related to your industry, it is even better! Go and start your own Twitter Chat. During twitter Chats, you must make sure that you reply to other chatters and you are sure to earn more engaged followers on the platform. Planning is key in every endeavor and when you have a big event, festival, or a promotional day coming up, you would need to plan in advance! This means your Halloween content should be planned up and ready by the end of September or early October! When you plan ahead for any special events you would have enough time to create some high-quality content and then take advantage of all those trending hashtags as the day of the event or celebration nears. Now, one thing that many companies tend to ignore quite conveniently that the whole idea behind Twitter is making conversation and interacting with one another. It is quite common to see even some of the good companies only post tweets in the form of broadcasts. Don’t just create a bunch of headlines or post some motivational content. Go the extra mile and create a tweet that opens way for communication, interaction, comments, and thus engagement with the followers. Initiate a conversation! This is a little different form what we talked about in the Plan Ahead segment. This is more of a routine or everyday affair and it should have a definite structure. When you are tweeting for business, it is important that you have a fixed posting schedule in place. The schedule should indicate clearly what you are going to tweet out and when. Apart from this, you must also have a clear schedule indicating when you would be sharing the links to your new posts. When you have a schedule of tweets that you stick to, you make sure that the content you are posting out is varied, refreshing, and has a balanced mix of links, updates, contests, or any other such category that you might want to include. The chances of you missing out on any of these categories are also lowered. This is one of the most important points here and it is surprising how many people ignore it! If you do not begin with any set measurable goals, you have, at your disposal an incomplete marketing strategy. If you do not have any goals to begin with, you are going to keep repeating your mistakes that many of your predecessors have been making in context of social media marketing. However, only establishing goals and milestones is not going to help if you do not have a deadline imposed on it. The Twitter handle that you are using or your username on Twitter is quite important. If you are going to use Twitter for promoting your company, it is a good idea use your business name or some variation of the same. You have 15 characters to play around and come up with a suitable Username on Twitter. The profile that you build on Twitter includes a Twitter bio, avatar, and a cover image. The profile should be crafted well enough so that it gives the followers a clear picture of what your business is all about in just a single glance. This is why it is important that you choose the visuals intelligently and draft the bio keeping the audience in mind. The bio that you write should be crisp, clear and should essentially be a description of your company in 160 characters or less. This description should be should include a brand brief, description of products, and the services you may have on offer. It must also include a link to your website or a landing page and your logo should be set as the display picture on your Twitter profile. Like every other conversation, the virtues of listening cannot be stressed enough upon. It is important that you listen first and tweet later especially if your intent is to market. There are a huge number of advanced search tools that would help you discover any tweets that have mentioned the name of your company, products or related services. One more thing to remember is that it would do you well to keep an ear out for what your competitors are talking about in their tweets. The character limit for each tweet has been extended to 280 characters. However, it is a good idea to leave a few characters out. This may come in handy especially if people would like to retweet your tweet and maybe add a couple of words while sharing it on their social media. You might think that you built a great product and have something that people are going to fall in love with as soon as they see. But, if you don’t have a clue what people need and the things that your followers actually like, you are not going to do well! In general people tend to appreciate any information that solves a problem or gives them a solution to any query that they might have. Twitterati also respond to, interact with, and enjoy content that is entertaining and inspiring. Understand what it is that your followers are looking for, pay attention to what they need and what piques their interest before you draft out your tweets. Advertising on Twitter can be done in two different ways which suit the budgets of a small business – Promoted Accounts & Promoted Tweets. Leveraging twitter ads can prove to be especially effective when you want your posts to be visible to as many people as possible. The flexibility of the budget that these two methods allow make them ideal for anyone who intends to use twitter for marketing. “Flock to Unlock” is a kind of Twitter campaign that incentivizes different followers to carry out the action you desire them to take and then give them the deal that you have for them. You can either disclose the deal you are offering in the tweet that you send out or you can keep it hidden and set a criterion like a certain number of ‘favorites’ or ‘retweets’ before going on to reveal the deal. You can conduct special event promotions on Twitter and go on to live tweet the whole event through your Twitter profile. Apart from this you can also draw from any current events, as you see fit and then leverage it as a hook to promote your products. Everyone looks for variety in the content that they are looking at on the social media. This means that any tweets that contain in them links, pictures, GIFs, or videos in them tend to get retweeted more than the tweets that only contain text in them. Hence it would do you well to include different kinds of media and excite your followers about the kind of content you have for them. Direct messages are a great way to take any conversation private. There are situations where the back and forth goes on for too long or the conversation may have gotten way too specific on a certain issue. The dreaded 280 character limit is not imposed on DMs which makes it even easier to have an intense discussion. At any point in time, if you feel the need to, you can just ask the client to send you a DM with your contact information so that you can connect with them over a call or through email. The only catch is that you can only exchange direct messages with your followers! If you have a website or a blog and a decent amount of traffic coming on to it, then it can prove to be a great channel or medium for marketing your Twitter account or profile. You can integrate your Twitter profile in your website or blog in a number of ways including embedding tweets or by using the Twitter share button and “Click to Tweet” button. Twitter Lists can come in really handy as these are essentially curated groups of users categorized by content. You can either build up your own Twitter Lists or get a subscription to lists that were created by others. These lists are great for getting a glimpse of what the users are talking about and also give you an organized way of staying in touch with customers who are loyal, influencers on the social media, or even the competitors. An analytics tool, Twitter Analytics allows users to get valuable information about their tweets and followers, including impressions, clicks, and engagement. Through Twitter Analytics, you can measure your performance, and keep track of the interests of your followers. Twitter advertisements is one of the best ways to help you achieve your business goals through paid promotion. With Twitter Advertisements, you can not only get more followers to your business, it can also help you extend your business reach globally. How To Create A Social Media App Like Facebook, Twitter Or Instagram With Appy Pie’s App Builder?